Every year for the past four or five years, we’ve had a night of worship. “What is a night of worship?” you might ask. Well, it is a night where we come together as a church strictly with the intention of worshiping and bringing glory to our Savior. You might also ask, “Isn’t that what Sunday’s are for? Aren’t we supposed to come to church to well, worship?” The short answer to that is a resounding, “Yes!” However, that’s a multi-layer question. So, let’s unpack it a littler further. Many of us show up to church on Sunday morning not being fully prepared to engage in corporate worship. Now before you start throwing stones and accusing me of being judgmental, hear me out. Many of us show up on Sunday mornings prepared to serve. We are there to facilitate an experience for others, regular attenders and guests. Many show up to serve as small group teachers for children and students so their parents can worship through song and prayer and learn from the teaching of Scripture. There are those that show up to church on Sunday morning simply because we were strongly encouraged to do so by parents or spouses. There are also some of us that just aren’t quite in tune with what is happening around us on Sunday morning. We haven’t had enough coffee yet or maybe we are just a “grumpy-gills” in the morning. Several of the things listed above are indeed avenues of worship. As I’ve said many times, “Worship is our response to the greatness and glory of God and all that He has done for us.” Serving others is an act of worship! However, it’s an act of pouring out the love, emotion, and spiritual energy of the soul. It can be draining. That’s why nights of worship are so crucial. When we gather in corporate worship, we may engage in many different forms of worshiping our Lord. Giving is an amazing act of worship. It’s trusting God and giving glory to him for all he’s blessed you with, it’s an act of obedience, and it’s being an active part in what God is doing in your church. Communion is another form of worship. We may take of the last supper together to remember the sacrifice and promise of Jesus. Studying the Bible together through the teaching and preaching of God’s Word is also an act of worship. By learning more about the Bible, we learn more about God causing us to be in awe of who God is, marveling in His glory and power. When our people come together for a night of worship, they come together with one purpose and one focus. We come together with the sole intent of glorifying Jesus and being filled up. There is something so powerful and almost magical about being a part of many voices singing, praying, and praising Jesus. When we open our mouths and let our voices be heard, we are declaring with all of creation that Jesus is Lord. All of creation already sings His praise! Jesus told the Pharisees that if the people stopped praising him, that even the rocks would cry out! Talk about rock n’ roll! 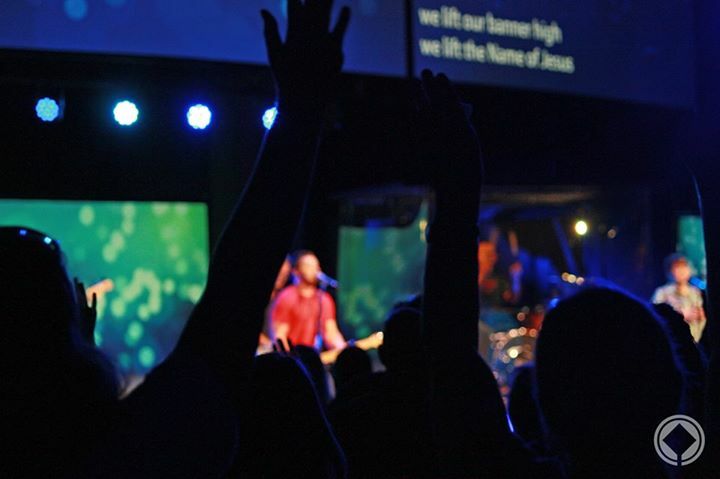 Nights of worship are an opportunity for us as a church, as God’s people to grow in our understanding of worship. It’s an opportunity for us to grow in our knowledge of God and how he is worthy of our worship and adoration. When we engage in worship physically by lifting our hands we are acknowledging that all glory belongs to God. We learn that it’s ok to be expressive in our praise of Jesus. The Bible says that David danced before the Lord in worship! Our worship shows God, our brothers and sisters in Christ, and the world that we are passionate about the One who has changed us and made us new. Dude… Love this message! Truth! Can’t wait for September 25!